GEORGE BEST - Signed/Autographed Photograph - Mint - Mounted Ready To Frame ! LEEDS UNITED - MARCELO BIELSA FRAMED ART PRINT. 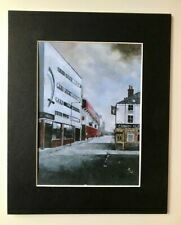 ASTON VILLA FOOTBALL ART PRINT. “Ryan Kent punch ” Canvass. NOT AVAILABLE TO ANYONE OUTSIDE THE UK! The print is produced on 200 gsm A4 paper. IMPORTANT INFORMATION. Prints are printed on slightly oversized paper to help with mounting and framing (The image is the correct size with a small white border). 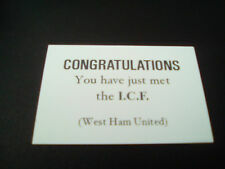 I wasnt with the ICF for long because I broke my back but I kept my sovenirs and these date back to late 80s early 90s. As you can see in the photos i've got a good few left, probably 600. Perfect print on the front. CONDITION GOOD slight fold. 100% original taken from a Magazine. SIZE approx. A rsenal Thierry Henry £100 bank note. T he Emirates Stadium. Novelty fun Collectable. The print is produced on 200 gsm A3 paper. IMPORTANT INFORMATION. Prints are printed on slightly oversized paper to help with mounting and framing (The image is the correct size with a small white border). TOTTENHAM - SPURS MATCH PRINT - 1ST EVER GAME AT THE TOTTENHAM HOTSPUR STADIUM! LEICESTER CITY - VICHAI SRIVADDHANAPRABHA FRAMED ART PRINT. LEICESTER CITY - Vichai Srivaddhanaprabha. A recently commissioned unique art print of Leicester City Chairman Vichai Srivaddhanaprabha. PRODUCT INFORMATION. Slight rippling to paper - see final photo. A must have for all avid Arsenal fans, the perfect gift! The print is produced on 200 gsm A4 paper. Manchester United MUFC Fergie years canvas (28x13) featuring players who played during Alex Ferguson's era feat Beckham, Neville, Ronaldo, Keane, Giggs and Scholes and so on. HIBS - HIBERNIAN SCOTTISH CUP FINAL FRAMED MATCH PRINT! HIBS 3 RANGERS 2 - SCOTTISH CUP FINAL MATCH PRINT. HIBERNIAN FC. Manchester United FC - Legends at Old Trafford football ground - Wall Canvas. 25" x 16" with a 1.6" side. 63cm x 40cm with a 4cm side. Printed on high quality polyester. Mounted on a wooden frame, ready to hang. ALSO AVAILABLE 100CM X 63CM Please view my other items 100% POSITIVE FEEDBACK Items are made to order, so please allow upto 7 days for delivery. LIVERPOOL FC - VIRGIL VAN DIJK FRAMED PRINT. VIRGIL VAN DIJK - LIVERPOOL FC. EVERTON FC - EVERTON LEGEND DUNCAN FERGUSON FRAMED ART PRINT! EVERTON FC - DUNCAN FERGUSON! 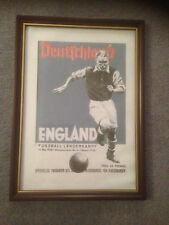 A unique football art print! 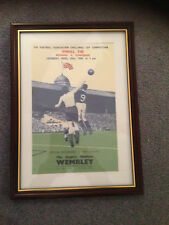 WEST HAM UNITED - 1980 FA CUP FINAL V ARSENAL - FRAMED MATCH PRINT! Manchester United MUFC Fergie years canvas (40"x20") featuring players who played during Alex Ferguson's era feat Beckham, Neville, Ronaldo, Keane, Giggs and Scholes and so on. "WE ARE THE PEOPLE" Canvass. Own your own piece of a Rangers FC. A must have for all avid Leeds fans, the perfect gift! The print is produced on 200 gsm A4 paper. The style of the print is a retro style, and as such includes water stains and ageing etc. This is the design, and not a flaw in the printing. Manchester United MUFC "the 99 season" canvas (26x18) featuring players who played that historic season feat Beckham, Neville, Keane, Giggs and Scholes and so on. 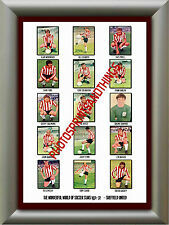 SHEFFIELD UTD - BILLY SHARP - FRAMED ART PRINT! BILLY SHARP - SHEFFIELD UTD FC. Manchester City FC - Agueroo! - Wall Canvas. Printed on high quality polyester fabric. 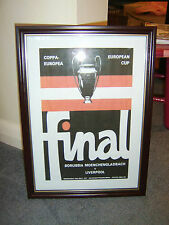 Dundee United Football Club 2010 Scottish Cup Winners Mirror Framed 22.5 x 18.5"
2010 Scottish Cup Winners celebration mirror. Great for any fans of the club. We PROMISE we can make you happy if you give us a fair chance. 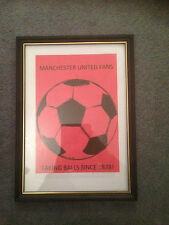 Fantastic 42cm x 29.7cm A3 sized football art print produced on top quality 300gsm material.